Have a look at the SRAM PC-X1 chain, that's what I run on my bike and it's taken a hammering. MTB chain from the ground up, solid construction, X-Sync compatible and I think the alternate black/silver links look cool. You'll obviously need the new chain regardless to go from 30T-32T (which is exactly what I did on my Swoop). If you have the current chain and it's sized correctly, all you need to do is cut the new chain 2 links longer to allow for the extra 2 teeth. Or just measure it from scratch with the new setup. As for the spacing of your rear triangle allowing for the extra diameter of the 32T chainring, I've found multiple accounts online of people putting 32T chainrings on their 130s with no issues so you should be fine on that front. Last edited by Cypher; 30-05-18, 21:38. Brilliant. That's what I thought, but just wasnt sure. 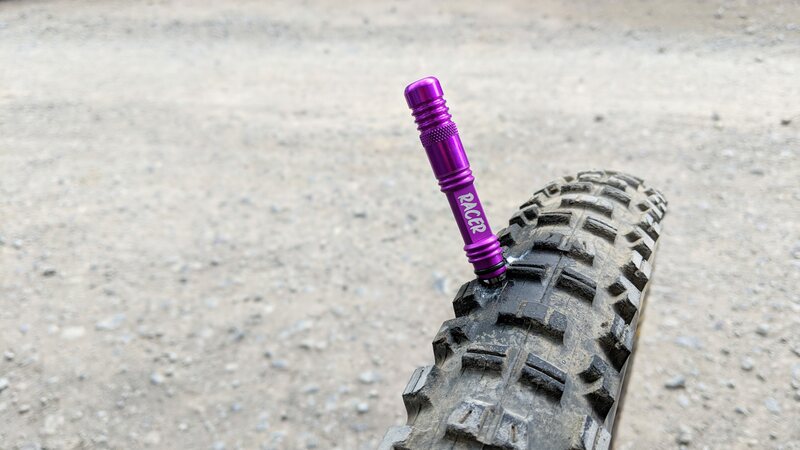 The difficulty is the rear hub is boost, but so is the crank. So I wondered if one cancelled out the other? Just went to link the one I was looking at and it is exactly the one you linked too! ​​I'd probably get it orange! The fact we both came to the same answers on our own is a reassuring! That Superstar chainring was literally the only one I could find at the time that was Boost specific, narrow wide and available in colours other than black (I got a blue one). I'll definitely be getting he same again when it's up for replacement. But yes, Boost specific chainring is the safe option for Boost hubs. Technically if you had enough frame clearance you could use a higher offset to move your chainline inboard (towards the big ring) if you spend vastly more time climbing than descending. But it's probably safer to just stick with the OEM chainline. Now get it ordered and send many phot! This x1 speed is so so overly complicated! Triple = plug and play! What does boost hub even do? It's all to do with the boost rear hub. That adds stiffness and stability. But by making the rear hub wider it moves the cassette further out. You have to compensate for the wider rear hub by having a wider crank in order to bring the whole thing back in line. This is easier with a x1 set up, as you can just get a chain ring with a boost offset and bobs your uncle. With a 3x you would need a spacer between the crank and the smallest chain ring. In fact, I suspect very few multi chain ring set ups have boost rear hubs at all. If you remember on one of our peak district meets, we tried to fit my 27.5s onto another bike and they didn't fit because they were boost hubs? I like a Scott. Sounds nice. What's the travel on the rear of that? That's the funny thing with Whytney, 130mm isn't that much, but it feels much more. I went to order the chain ring last night but bottled it. I'll wait a few weeks and see if any more deals come up. ​​​​​ Cycling to work this morning definitely felt heavy, think I've probably done enough this week, will have a day off tomorrow. Come on a wed/thu nightride Cru, we pootled last night (mostly) and pootle policy means no ones ever at the back! How much are the chainrings? There's a lot to be said for suspension setup! I had to add a load of air (as a quick fix) to my suspension to stop myself bottoming out on the jumps and mega fast g-outs at Black Mountains the other day. But the trails there are pretty smooth and flowy so I could get away with it. When I went to BikePark Wales yesterday though my wrists took an absolute hammering on the first run down, so after a 'proper' tune of my settings I was able to drop fork pressure from 55 to 50PSI and shock from 130 to 120PSI while slightly increasing the compression damping so I didn't blow through the travel. Rode like a different bike afterwards! Super plush over the tech stuff but ramped up nicely over the big jumps so the suspension didn't sap all my speed on the take-offs. My PIkes recommend 95 PSI for my camelbacked weight, they barely move at this, can't even get sag. So run at 55psi, which even though gives a lovely ride, the Foxes compressed so much more with front brake on, i'm now wondering should i try as low as 40 see how plush they can get! Run the rear Fox @ £135, where is bob on recommendation, but could let some more out again. My PIkes recommend 95 PSI for my camelbacked weight, they barely move at this, can't even get sag. So run at 55psi, which even though gives a lovely ride, the Foxes compressed so much more with front break on, i'm now wondering should i try as low as 40 see how plush they can get! I prefer to run slightly lower pressure and up the compression damping a bit, gives me the best compromise between small bump sensitivity and bottom out resistance. I've been meaning to see if my shock can take volume tokens so I can reduce the pressure in that without harming bottom out resistance over the big stuff. Firstly the queue to sign in was massive, out of the building and half way to the car park massive, because everyone wanted to be first to Strava the 4 new trails I guess! Turned out only 3 of them were open, and the one which was still closed was the one I wanted to ride the most (bad start). The uplift buses were running at a snails pace as they were lining them up 3 at a time and making them all wait until all three are ready, which means the front two buses (the first one especially) is sat there for 5 minutes while the buses behind finish loading. But delays and closed trails aside, the trails which were open have also received a fair bit of TLC, their big jump run 'A470 Line' in particular has had a full re-sculpt over the last month or so and is now faster, bigger and scarier than it's ever been. I was having a grand old time until around 3.30pm when disaster struck and I jabbed my rear tyre on a pointy rock. 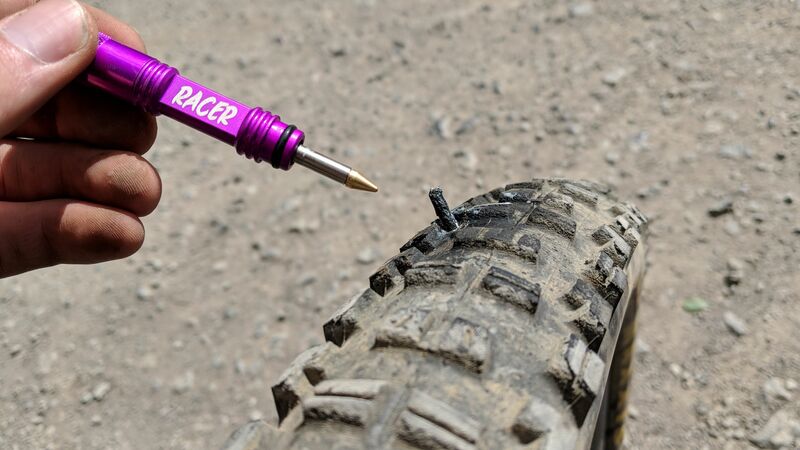 15 minute walk back to the car park and realised I had no tubeless sealant in the tyre, so £18 later for a bottle of Stans and the use of one of my DynaPlugs I managed to get it airtight, but I wasn't confident it would survive another run in that condition. So with only 30 minutes until the last uplift departed anyway I decided to call it a day and head home. Still, managed to get some good footage while I was there! Tbs tyre plugger saved the cheshire ring 100 miler last year, only 12 odd miles in! I had considered this, but then I run a Minion DHF on the front and a DHR on the rear, so which one do I carry? Or do I take both? Too many options! I was actually quite excited to finally get a chance to use the DynaPlug! 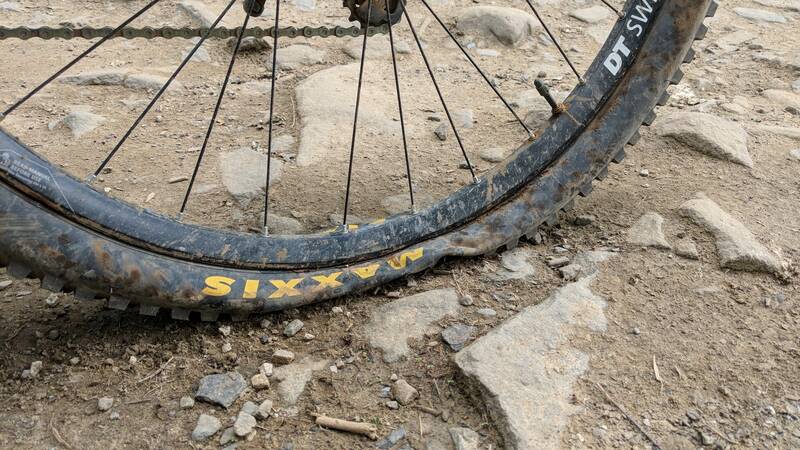 But as I so rarely get punctures I think I need to learn to just let the tyre sit for a bit longer after it's 'sealed' as the gunk takes a little while to fully solidify. Last edited by Aaron; 05-06-18, 10:00.